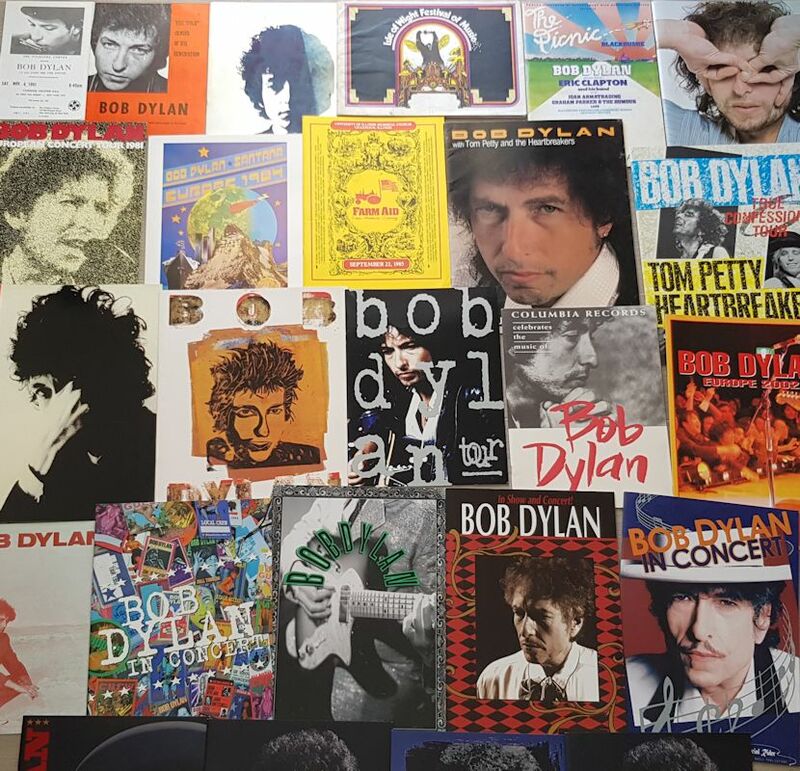 the Bob Dylan programmes are all highly collectible. It is only in 1978 that a Tour Programme on thick glossy paper was created. Since that date, almost all Bob Dylan tours had their specific programme. Some handbills and tickets are presented here, when related to a programme. Visit dylanstubs.com to see much more of them.